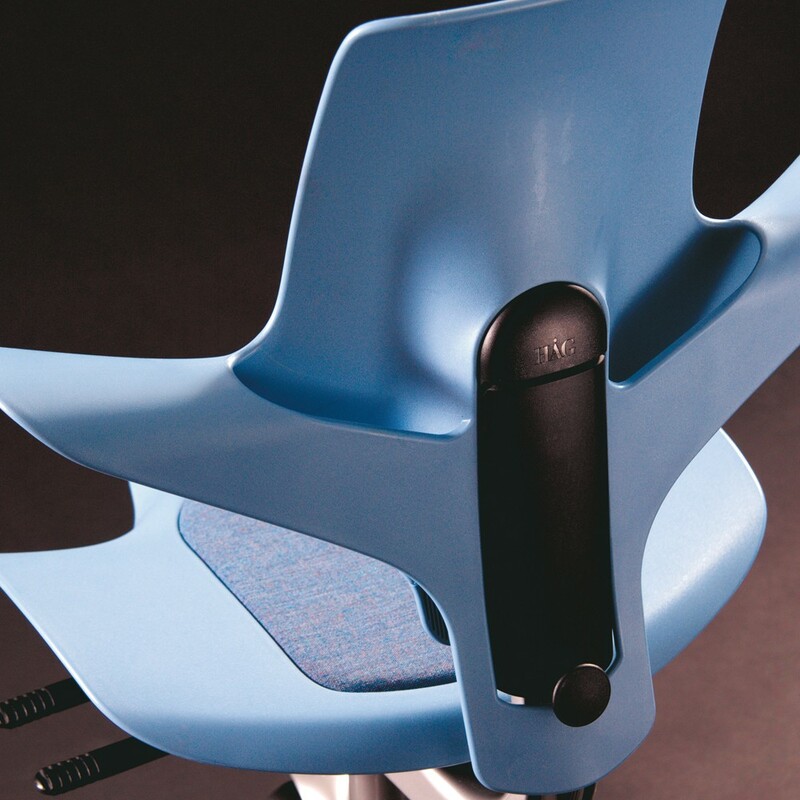 THE HÅG Capisco 8010 is a plastic chair with a seat and back. 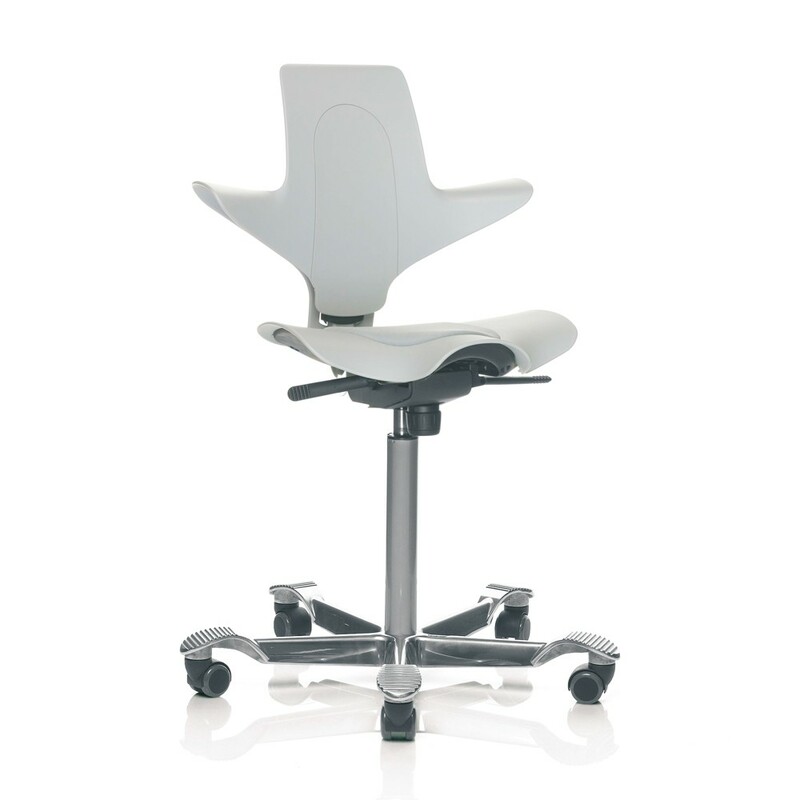 Like the other chairs in the Capisco range, the Capisco Puls is designed for active sitting. 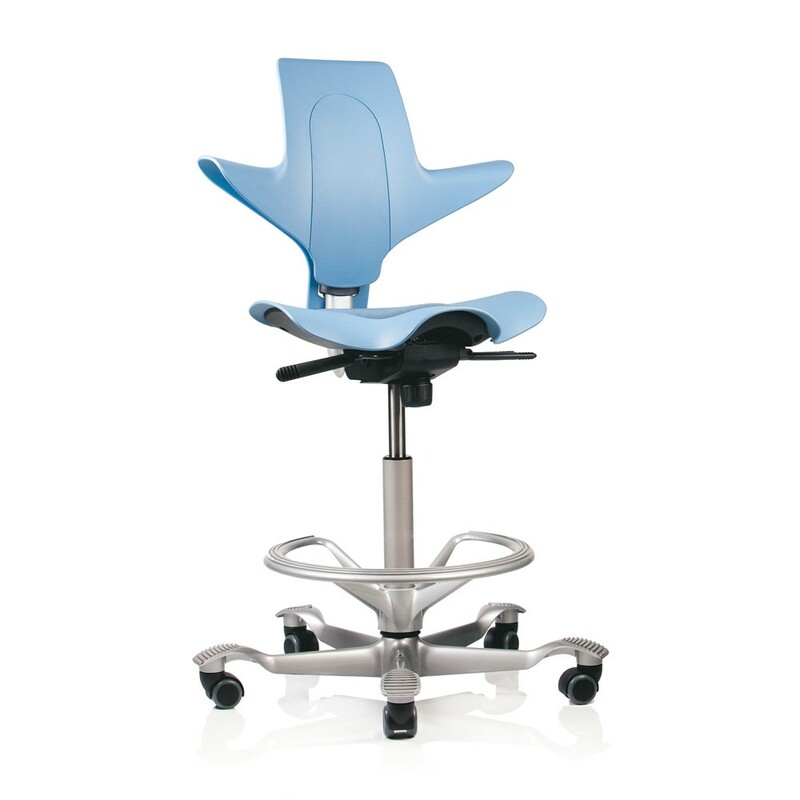 No other work chair is so well adapted to work stations of different heights. 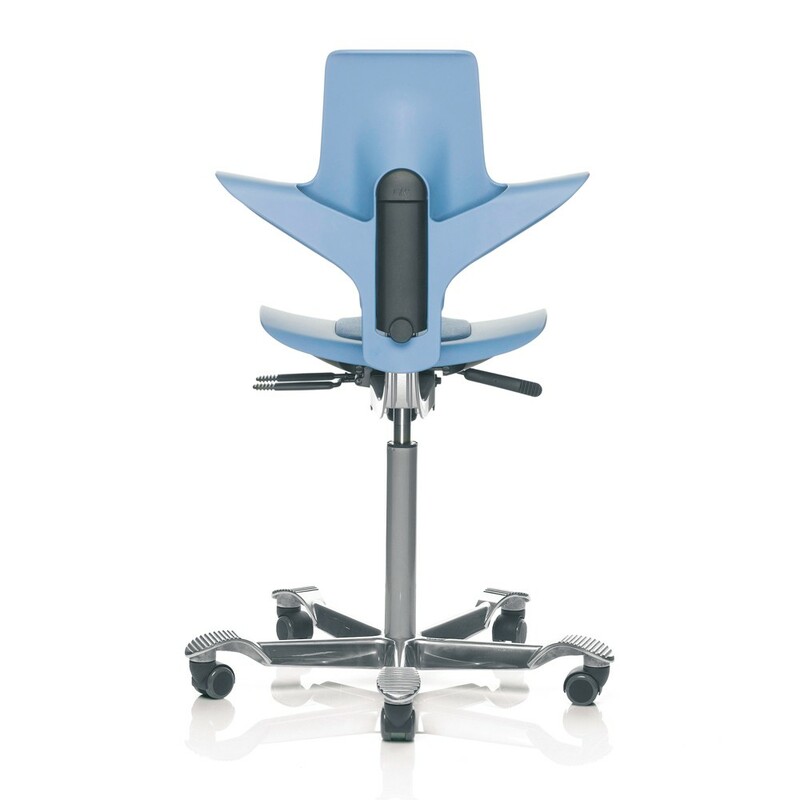 Sit down and adjust it from a normal table height to a semi-standing position. 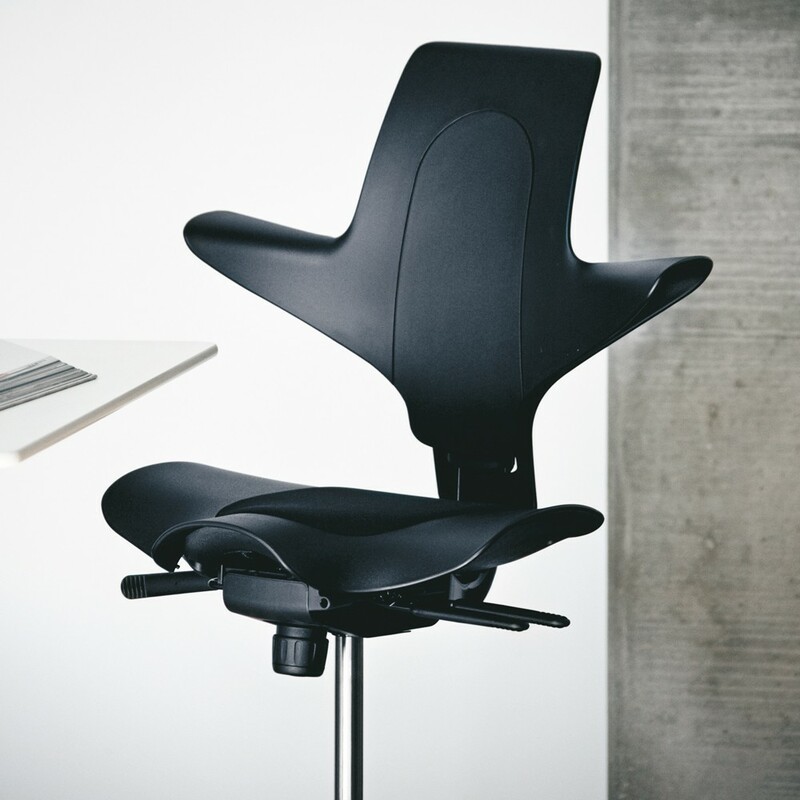 The seat has an integrated cushion for improved comfort and can be adjusted between low and high working positions, all the way up to standing, enabling you to be more dynamic in your movements while still balanced. 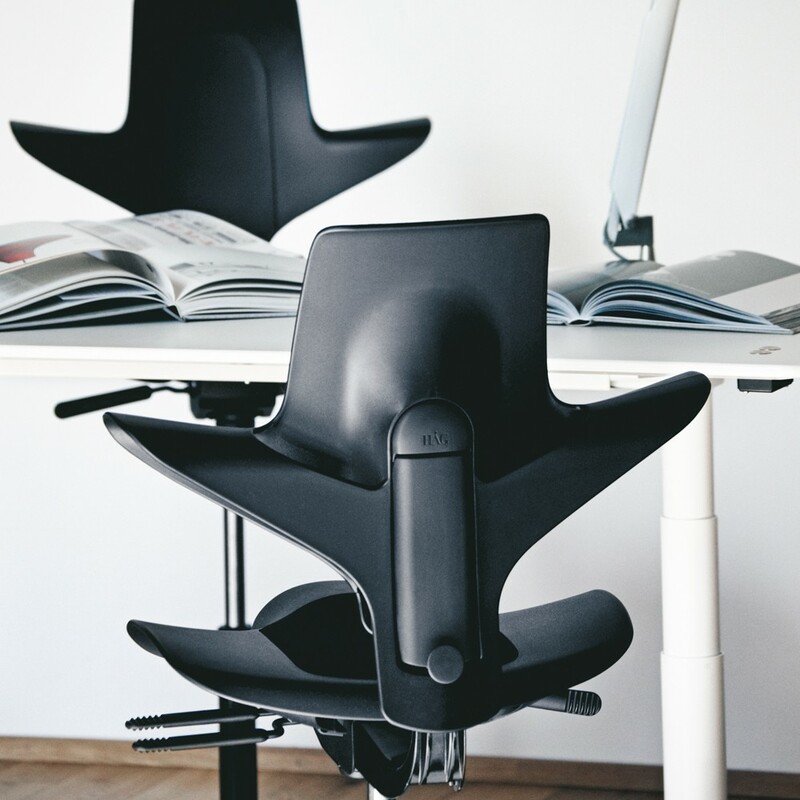 We often recommend the HÅG Capisco instead of kneeling chairs as it offers the same level of comfort and movement while providing greater support - better for slightly longer stints of sitting. 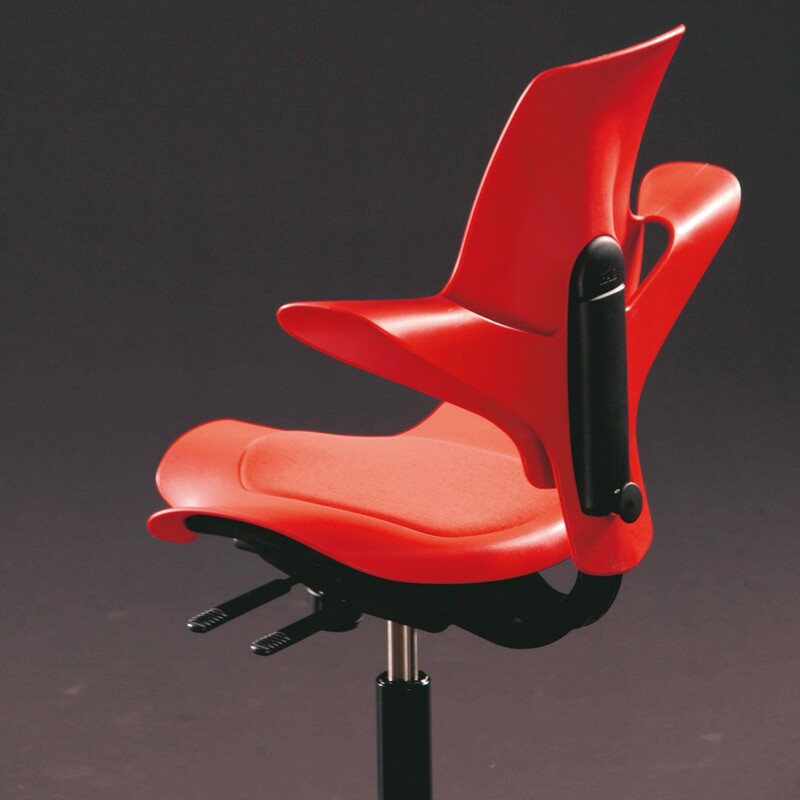 The seat height, seat depth and back height can also be adjusted.